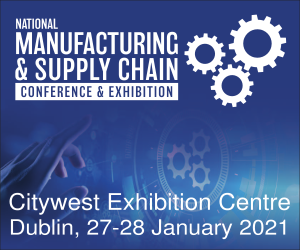 A major shift in Irish construction practices is urgently required to safeguard the sustainability of the sector into the future, according to Guaranteed Irish, the not-for-profit business membership organisation championing 500+ homegrown and international businesses in Ireland. Guaranteed Irish recently hosted a roundtable discussion with members and other key decision-makers in the Irish construction, manufacturing, hardware and DIY sectors to identify sustainable solutions to Ireland’s current housing demand and how smaller building suppliers can play their part in this activity. Return national tree-planting targets to a minimum of 10,000 hectares per annum. Damien English TD (pictured right), Minister of State at the Department of Housing, Planning, and Local Government, attended the round-table discussion, while panellists included Jim Gannon, CEO of Sustainable Energy Authority of Ireland, Conal Mac Coille, Chief Economist at Davy, Aoife Brennan, Director of Research at Lisney and Tom Parlon, Director General of the Construction Industry Federation. Guaranteed Irish now has over 500 members – indigenous and international – who make a significant contribution to the Irish economy every year, both in terms of turnover and employment, as well as contribution to their local communities. Guaranteed Irish members employ nearly 50,000 people in Ireland, generating a turnover of €11 billion. 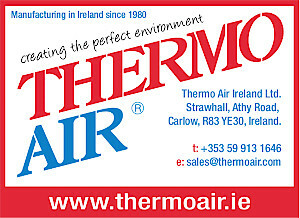 Members of Guaranteed Irish in the construction, manufacturing, hardware and DIY sectors include Irish Cement, Tegral Building Products, Wavin, Kingspan Insulation, Saint-Gobain, Combilift, Celuplast, Dulux, Kilsaran, Roadstone, Irish Fencing Services, Clogrennane Lime, Fleetwood Paints, and Camfil. 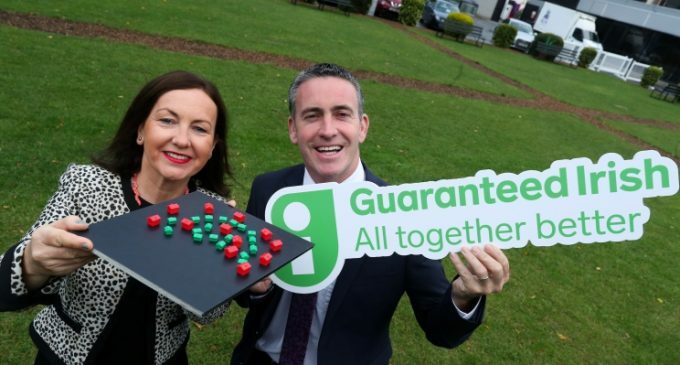 Membership of the Guaranteed Irish organisation spans all sectors including pharmaceutical; healthcare; technology; construction; energy; professional services; manufacturing; tourism; food and drink; craft and design; retail; and lifestyle. The organisation considers three core criteria when assessing an applicant for membership – jobs, community and provenance. In order to meet these criteria, applicants must comply with all labour legislation, and provide fair working conditions to support and care for all of their employees. They must also demonstrate constructive and ongoing engagement with the communities in which the business is based. Lastly, applicants must have their origins in Ireland or be an international business that has embedded itself in Ireland. They must also have a substantial on-the-ground presence in Ireland, with many supporting indigenous spin-off companies.